Bitter temperatures flirted with record lows on Sunday as "life-threatening" conditions put millions across the country in a deep freeze for Valentine's Day, NBC News reported. More than 38 million people from the Plains into the Midwest and East Coast were under winter-storm warnings or advisories overnight, according to The Weather Channel. 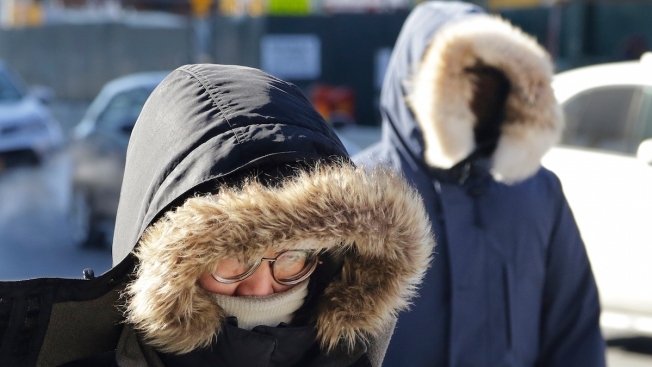 The coldest air mass of the winter brought the thermometer down to minus 6 degrees overnight in Minneapolis, while New Yorkers were urged to take "extreme precautions" against wind chill. Parts of New England will see "bitterly cold" wind-chill factors of 40 below zero, with air-surface temperatures also below zero for much of the Northeast. New York City could get wind-chill factor of 20 below zero while upstate New York could experience wind chill of 50 below zero.